An area of concern that comes up when discussing movement from traditional digital telephone lines, ISDN2 and ISDN30, to a VoIP solution is “how secure is SiP?”. When choosing your SiP provider, it’s important to do a little due diligence on the product you’re looking at. http://cactusbusiness.co.uk/wp-content/uploads/2017/09/How-Secure-is-SiP.jpg 360 930 Simon Cartwright http://cactusbusiness.co.uk/wp-content/uploads/2016/07/Cactus_logo_smaller-300x108.png Simon Cartwright2017-08-01 11:00:572017-09-05 08:41:58How Secure Is SiP? It was another great day in this years Cactus Sailing Regatta. With the day ahead promising winds of over a Force 7/Gale Force, it was going to be a challenging days sailing. Cactus Business Solutions are proud to be the main sponsor of this year’s Wessex Cancer Charity Golf Classic which will be at held at The South Winchester Golf Club on Thursday 21st September 2017. Bournemouth AFC player Andrew Surman will be in attendance during the day and will also hold a Q&A session after the golf. Are you protected against phone hacking? Once again, this week I’ve been asked to visit a prospect who has had their telephone lines hacked and been presented with a huge bill from their current call carrier. For some reason business owners don’t seem to want to have the conversation around how secure their comms are, yet if you ask them about IT security they will tell you that they have this firewall and that anti-virus. http://cactusbusiness.co.uk/wp-content/uploads/2017/09/Are-you-protected-against-phone-hacking.jpg 934 2000 Simon Cartwright http://cactusbusiness.co.uk/wp-content/uploads/2016/07/Cactus_logo_smaller-300x108.png Simon Cartwright2017-06-20 11:00:232017-09-05 08:50:02Are you protected against phone hacking? New Legislation means all drivers who are now caught using their mobile phones whilst driving will face a £200 fine and 6x points on their licence. The new laws from 1st of March 2017, which is double the previous penalty for anyone found guilty within two years of passing their test will lose their licence. The relaunch of the classic Nokia 3310 has dominated the news of the mobile world recently and although only having limited features, there has been a huge uptake for this latest product. As a low end cost handset and is a lot thinner and lighter than its predecessor, you may remember. It has a 2.4-inch colour screen and comes in four colours: glossy red, glossy yellow, matte dark blue, and matte grey. 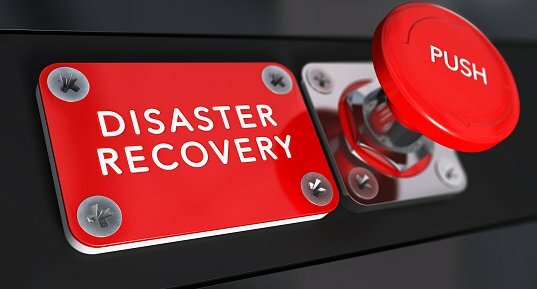 Could Your Business Phones Be Up And Running After A Disaster? http://cactusbusiness.co.uk/wp-content/uploads/2017/09/Disaster-Recovery.jpg 289 537 Simon Cartwright http://cactusbusiness.co.uk/wp-content/uploads/2016/07/Cactus_logo_smaller-300x108.png Simon Cartwright2017-02-15 11:00:452017-09-05 08:59:36Could Your Business Phones Be Up And Running After A Disaster? One of the more relaxing times of the year is Cactus organising a Sailing Regatta where customers attend the one day event – having some fun and ‘letting the hair down’ – whilst mixing with customers. A great day had by one and all culminating in the presentation of the Cactus Sailing Trophy.